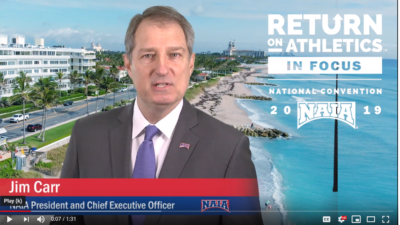 The 2019 NAIA national convention will highlight the launch of our new Return on Athletics™ (ROA) analytics tool. Now with 40 participating institutions, we’re able to share a more in-depth analysis of how athletics affects enrollment, student success, and the financial bottom line of our institutions. We’ll also share the progress made by the Financial Aid Task Force, as well as offer an opportunity for feedback from membership on important initiatives. Our keynote presenter is the nationally acclaimed author and speaker, Kevin Carroll. 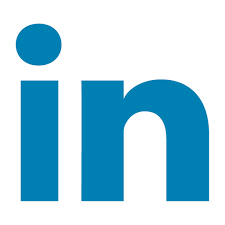 Kevin has written three highly successful books and consulted with international companies like Starbucks, Adidas, Walt Disney, Under Armour, and the NBA, just to name a few. Kevin is passionate about advancing education, sports, and play as a vehicle for social change and success. I’m excited to hear what he has to say. As always, we’ll have an eventful schedule full of opportunities to catch up with your peers. So rest up, pack your flip flops, and travel safe. We look forward to seeing you in a few days. Stay connected each day with highlights from the NAIA National Convention on our blog.naia.org and connect via social #NAIAROA – Experience NAIA!